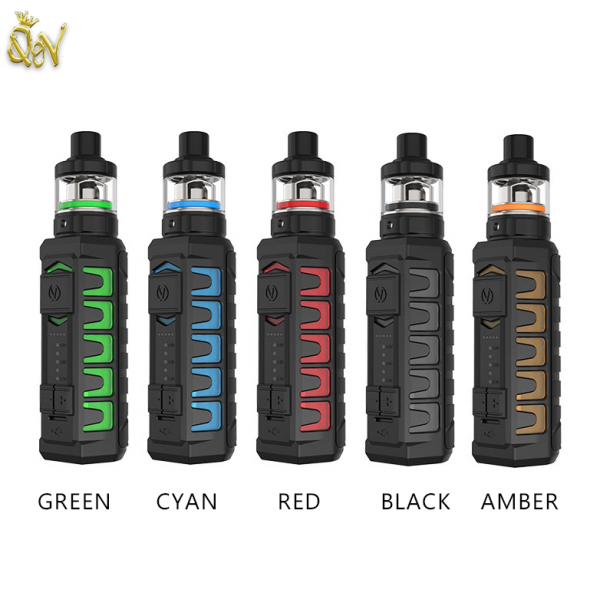 Vandy Vape APOLLO 20W MTL Starter Kit is a compact vaping creation, blending together elements of practicality, functionality, and a sleek tactical design integrating 900mAh internal battery and a mouth-to-lung atomizer system. The Vandy Vape AP 20W Mod is made from TPE material which is water-resistant. In addition, the panels can be connected in a way to provide a waterproofing rating of IP66. This means this device can withstand pressure water being sprayed from every direction with no damage or failure in usage. In addition, the AP MTL Box Mod utilizes an integrated 900mAh rechargeable battery that can allegedly last up to two days on a single charge. Bathed in a sleek matte black finish with angular lines all around make the AP very "tacticool", but don't be fooled as it is very functional and can deal well with wear and tear. Topped with the AP MTL Sub-Ohm Tank, this combination has access to the proprietary Vandy Vape MTL Coils that was introduced with the BSKR MTL Kit, measuring in at 1.5ohm and 1.8ohms, are designed to deliver flavorful taste thanks to a multi-directional airflow.